At Frontier Basement Systems, we fix flooding basement windows every day. If you'd like a free wet basement repair quote, contact us today! 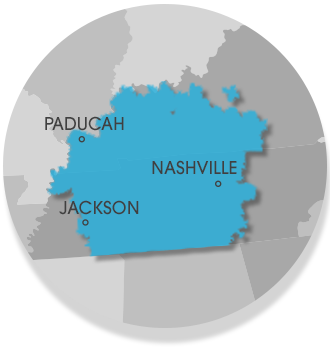 We provide service to Clarksville, Nashville, Jackson, Bowling Green, Murfreesboro, Owensboro, Utica, Fayetteville, Marion, Philpot, Leitchfield, Franklin, Mcminnville, Paducah, Shelbyville, Hartford, Antioch and surrounding Tennessee and Kentucky areas. Install A Perimeter Drain or Drywell: At Frontier Basement Systems, we recommend that water from your WellDuct® is directed into a French drain system. Otherwise, a small drywell can be created beneath the leaking window. If your problem is a leaking crack beneath your window, no hole will need to be created.